Waterpond in a landscape III is an impressive and highly accomplished work that was painted during a period of maturation and consolidation. For the first time Williams was experiencing widespread critical success and he was intent on testing his own art against examples of local and international abstraction. This painting stands out as an early exploration of how he pared works back, yet was still able to maintain a strong resemblance to what he had observed. Williams conveys the essential characteristics of the pond environment but it is also modified in quite radical ways. The three pond paintings have had an impressive exhibition history. 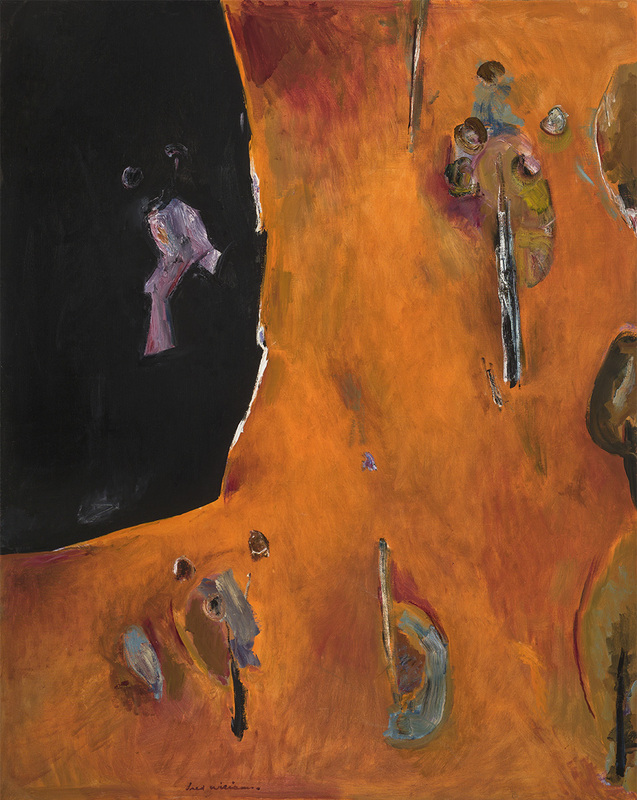 Following their initial 1966 showing at Rudy Komon Art Gallery, Sydney, they were brought together for Williams’s first retrospective exhibition, initiated by the National Gallery of Australia (NGA) in 1988. Two of the works and the related Landscape with water ponds, 1965-67, were also featured in the most recent NGA retrospective held in 2012. The warm palette combined with a minimalist vocabulary have continued to excite admirers of Williams’s work.